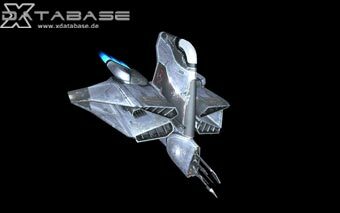 "This ship is the main fighter craft of the Paranid race, and the most common. It has a good speed and is armed with two front mounted laser. Constantly being updated, this ship also dates back to the earlier period of the Paranid Split war against the Boron."